A unique lodge for those who love wildlife and wish to stay with like-minded people. With just eight cottages, the lodge has an intimate atmosphere. Spread over 30 acres, of which only two acres has human impact, Jukaso Salvan provides a wonderful opportunity to get close to the animals. Active conservation projects and community work form the basis of the resort’s operations and guests are encouraged to get involved. You will find at Jukaso Salvan there’s always something going on to try and help the cause of tiger and wildlife conservation. 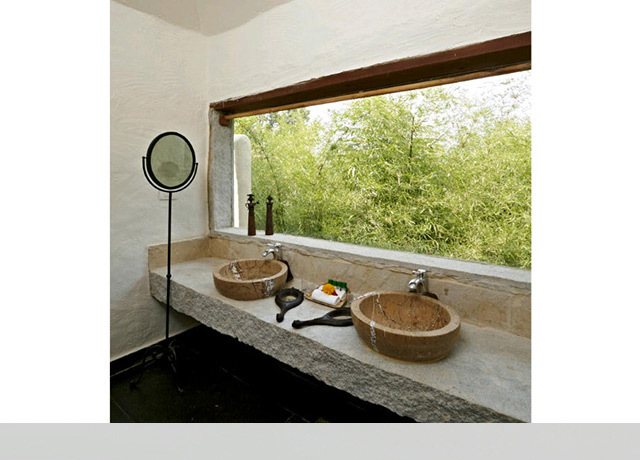 The cottage are deluxe and charming yet they have a rustic touch which quietly blends in with the surrounding woodlands. 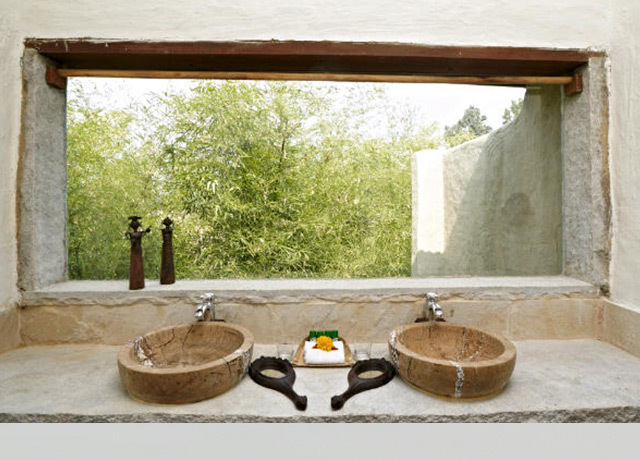 The cottages are spacious and beautifully furnished, yet they retain the style and simplicity of a true safari camp. 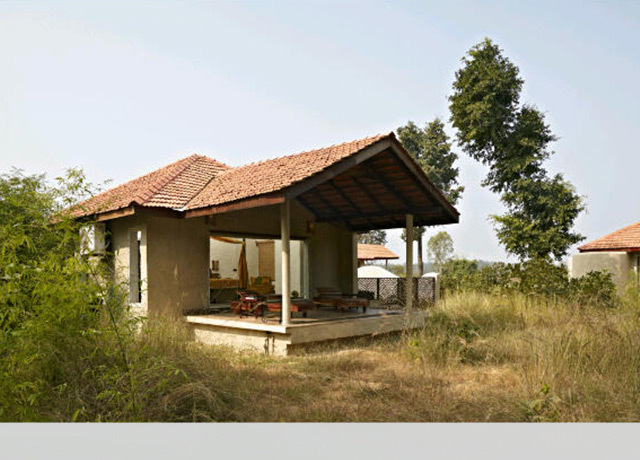 A restful private veranda which overlooks the vista of jungles is your ideal spot to relax with a cup of tea in hand. 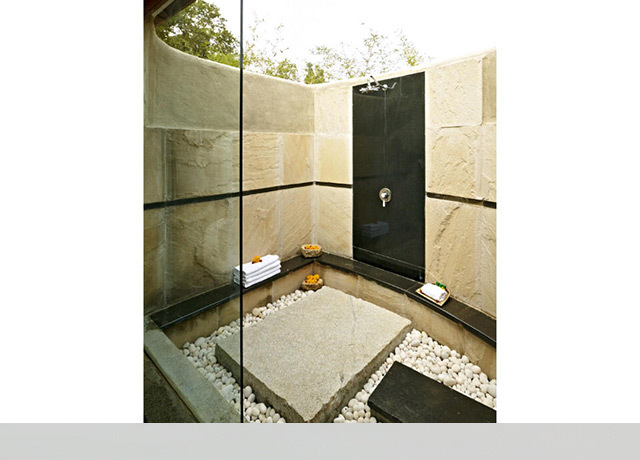 Twenty cottages with en-suite bathrooms and private veranda. 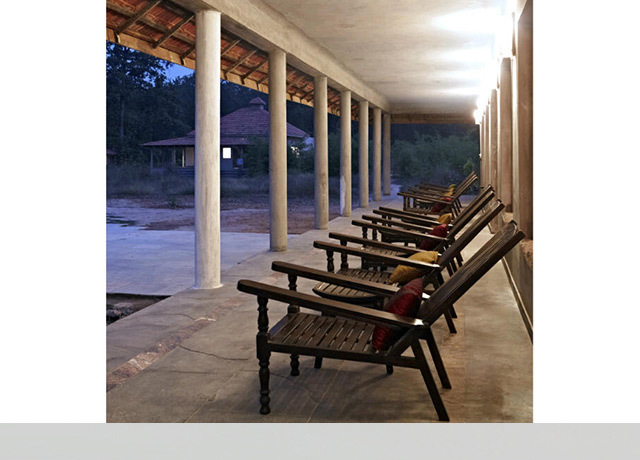 The bamboo and log construction of the rooms gives it a feel of tented accommodation while maintaining the comfort, warmth and security of more conventional brick structures, a reassuring way to experience the sounds and ambience of the jungle at night. 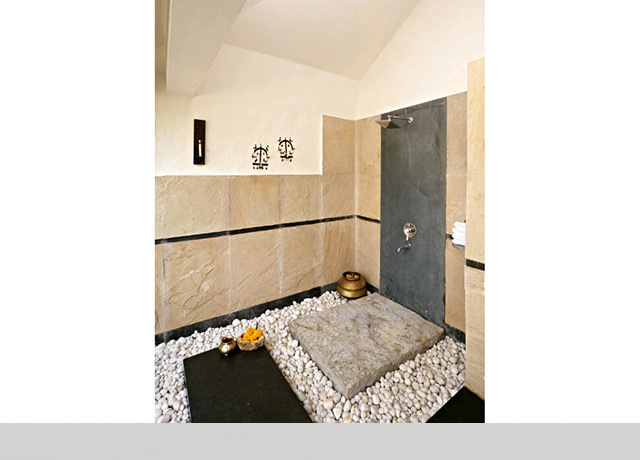 Massages (Rs 1,950 per hour; Rs 1,000 per half hour). 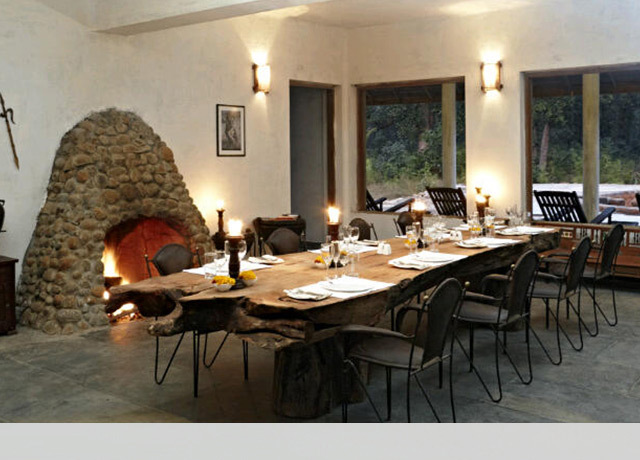 Food is vital part of this enriching experience at Jukaso Salvan By Welcom Heritage Bandhavgarh. A few signature dishes such as roast chicken, British fish & chips, cookies, freshly baked bread, apple pies, pancakes and an extensive variety of Indian dishes such as Kashmiri Khatte Baigun, Dhansak, Biryani, Idli Sambhar, Poha (made in the local style), Kadi, etc. Cookery classes covering dishes we serve are very popular with guest. Bandhavgarh National Park, the most popular national parks in India is located in the Vindhya Hills of the Umaria district in Madhya Pradesh. Declared as a national park in 1968 the Bandhavgarh National Park is spread across the area of 105 km². 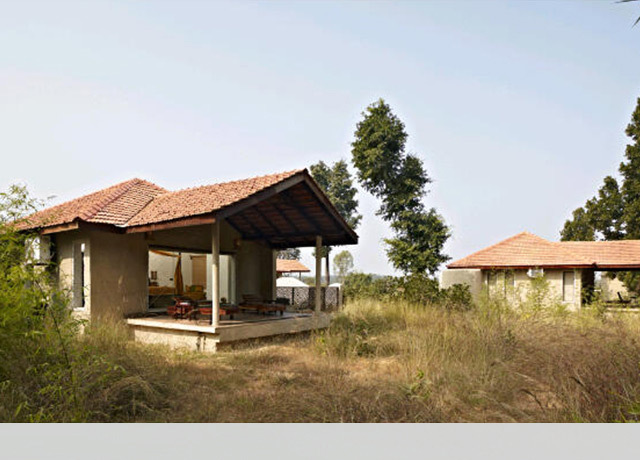 The name Bandhavgarh has been derived from the most prominent hillock of the area of Umaria. The area of Bandhavgarh is being flourished with a large biodiversity, the place which is also being famed to grip highest density of tiger population in India. Similarly, the park also beholds the largest breeding population of leopards and various species of deer. Over the years, the park has shown a great number of increases in the count of the tiger species and this is the reason why tiger tours is so famed to attract large amount of tourists at its vicinity. The park has been divided into three major zones named as Tala, Magdi and Bamera out of which the Tala zone attracts major number of tourists by offering the tiger sighting opportunities. The park authorities are also focusing on the Magdi Zone by providing more opportunity to spot tigers. Elephant shows are also organized in Magdi zone of the Bandhavgarh national park to increase the chances of spotting the elusive king of the jungle. Bandhavgarh National Park consists of mixed vegetations ranging from tall grasslands to thick Sal forest and so is the perfect habitat of variety of animals and birds. Due to varied topography, the Bandhavgarh national park provides ample opportunity to spot the majestic Indian tiger and some rarely seen animals like leopard and sloth bear. Due to high wildlife sighting it is becoming popular amongst tourists visiting India.